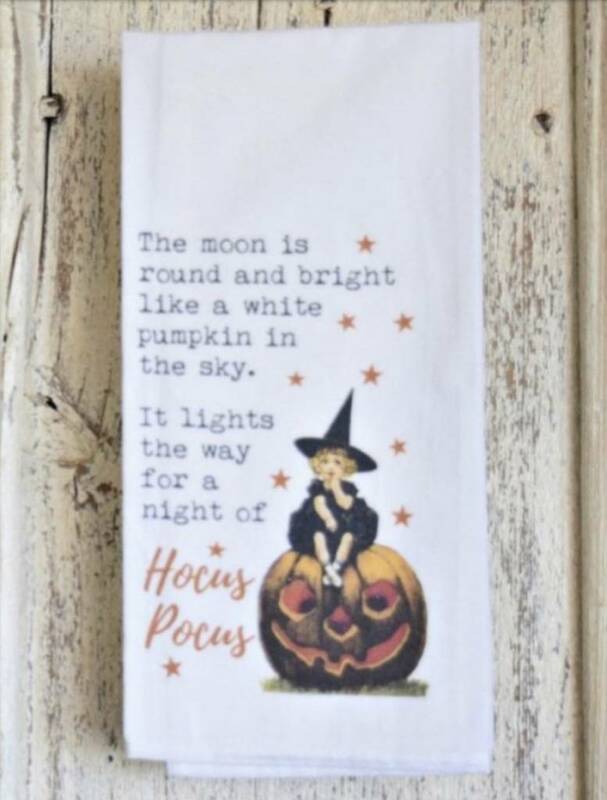 Thank you for choosing to shop with us and considering Halloween & Fall Kitchen Towels! Bring the Holiday season to your home with the Yuletide Floating Candle. Enjoy the combination of the flicker of light off water & the scent that floats thru your home. Make this candle a part of your family's Christmas season. Hand-poured in USA. This scent will take you back to aroma of hot apple cider floating thru the air. This delicious candle is steeped in the traditional mulling spices of cinnamon, allspice, clove, and orange zest. Made in the USA this candle has a burn time of 50 hours! 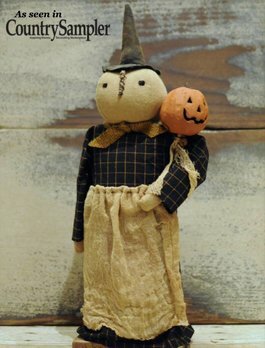 AS SEEN IN COUNTRY SAMPLER this Primitive Witch with Pumpkin Wand will bring a traditional touch to your Fall or Halloween Decorating this year! Primitive Folk Art made in the USA with only the finest fabrics. 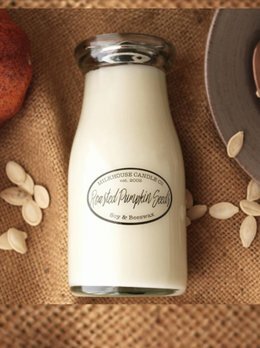 The scent of Autumn floats thru the air with the Milkhouse Roasted Pumpkin Seeds candle. The aroma of fire roasted pumpkin seeds dusted with a hint of sugar & cinnamon. 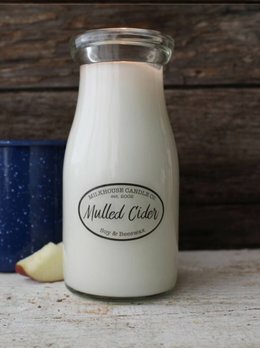 A perfect candle for your farmhouse style! 50 hours of burn time. 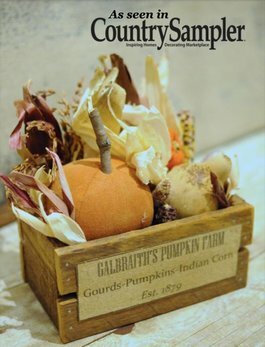 Bring a touch of Fall into your country home with the Fall Pumpkin Box. This wooden box holds all those things that remind you of falling leaves, hayrides and scarecrows. Put the finishing touches for Autumn with this handmade accent. 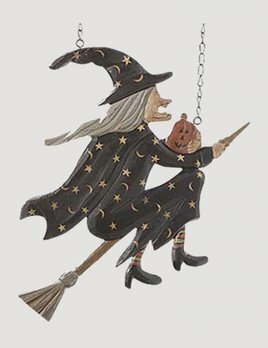 The Flying Witch on Broomstick Arrow Replacement is a great addition to your Fall & Halloween decor! Whimsical and fun this arrow replacement sign can be used each other as a focal point for your seasonal look. 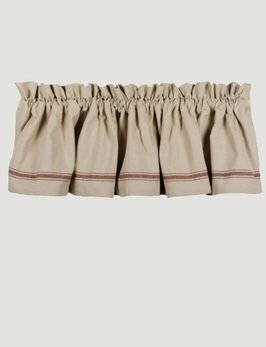 Fall in love with the Barn Red Grain Sack Stripe Valance. This timeless design adds farmhouse style with the grain sack striped fabric! This rough textured cotton fabric is a natural tan color, with a bordered stripe in barn red. The Long Wool Pillow with Pumpkins will be a great addition to your Fall Decor! This pillow is a beautiful handmade heirloom made with only the finest fabrics. This artist's attention to detail make this a piece of art that you'll enjoy for many years.